A Georgian style Bed and Breakfast located in the centre of the attractive village of Parkend and well located for the extensive range of facilities available in the Royal Forest of Dean. Parkend is at the end of the Dean Steam Railway and Nags Head Nature Reserve is within 10 minutes walk. Puzzlewood, Clearwell Caves (and Castle) and the Dean Heritage Centre are all within a 15 minutes drive. A very comfortable stay. Thank you for tea and cake on arrival, very much appreciated. Our room was ok for one night but very small so if returning would request a larger room,especially with a larger bathroom. 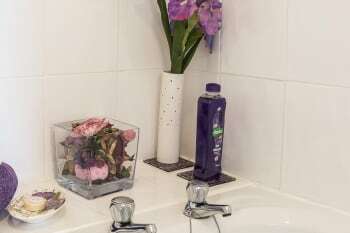 Thank you so much for doing us a review- Edale being a period property offers a selection of rooms but we are dictated by the age of the property and offering on en-suite facilities. All rooms sizes are indicated on our website under the room description. 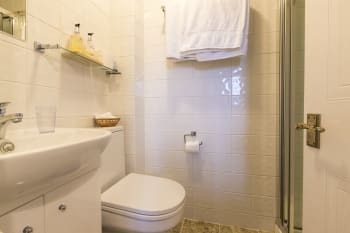 Our superior rooms are larger and include bath and shower. we look forward to seeing you again but please give us a call and we will do our best to accommodate you. Fabulous review!, we are so glad you enjoyed your stay with us. We look forward to welcoming you back to Edale maybe in the Autumn? Don't forget to book direct to get our best rates! see you soon ! A most enjoyable stay in a beautiful part of the World. The hosts - Peter and Jane - were very well informed on local knowledge and very willing to impart their knowledge. We had a great time whilst staying with you, perfect location to explore the forest and enjoy the surrounding area. Great B&B breakfast with lots of chouce. Friendly welcome, it was lovely to meet you both. Edale house is next door to an excellent pub, what more do you want! And right in the forest of Dean, we had good signings of wild boar, which was one of our primary aims. Dean heritage centre really interesting. Views from May Hill fantastic. Your very welcome!, Jane and I are so pleased you enjoyed your short stay with us and look forward to seeing you again on your next visit to the forest. Have a great summer! Quick to attend your needs should you need anything. We felt comfortable and welcome from the off and wished we could’ve stayed another night. Breakfast was great. Provided well for a gluten free diet. Great place to stay for any folk interested in birds. They have hawfinches in the village and all sorts of great reserves and birding sites within a stones throw. Probably the friendliest and cleanest place I've ever stayed at. Location is superb and breakfast was phenomenol.Can't pick any fault at all. The food at The Woodland Inn next door to the property was fantastic. we are so glad you enjoyed your short stay with us and the cheltenham races, we look forward to seeing you next year ( i think it starts on a saturday next year? ), don't forget to come to us direct next time to get our best prices! A brilliant B&B. The owners are dedicated to giving you the best stay possible. Thank you so much for this great review! we so enjoyed having you to stay at Edale. The forest is lovely at this time of year and there is so much to do, come and see us in the autumn? Don't forget to book direct! Peter and Jane, and Rolo! Thank you for such a fabulous review we look forward to seeing you again soon! This was our second stay in just a few weeks. Peter & Jane were again excellent hosts, friendly and helpful. Top level of service and attention to all the important details. I think for the sake of goodwill, being insistent about a £10 extra charge for 1 night of charging up a few batteries, maybe isn't the best idea. I understand that if film crews were staying for weeks this would necessary, but that wasn't the case for us, and in actual fact we did very little charging anyway. As a business owner myself I always weigh up the potential gain (£10 in this case) vs the potential loss (my goodwill and potential future stay) of every situation. Is the gain worth the risk of the loss in this case? I would argue not. Apart from that slight hiccup, everything else was lovely. Thank you for your comments. We of course at the time of your 2 night stay booking were unaware that you were professional film crew. With the amount of professional equipment you were bringing and the potential increase charging costs we might incur which would be over and above an "average" guest stay we felt a small charge of £5 per night reasonable. We are not a National or International hotel chain that can unfortunatly absorb these costs and I am sure that you cover these costs when quoting for your contracts. One of the friendliest B&Bs I've ever stayed in! Really useful to have Wi Fi. There is a homely guest lounge as well as a dining room. (We loved watching the birds on the feeders whilst eating breakfast.) There is a small bar with fresh milk in the fridge; the bar works on an honesty system so that you don't have to hunt out the owners. The beds were very comfortable and the room was lovely and quiet. One tip for travellers- the area has very poor reception for mobile phones and therefore, for using a 'phone as a sat nav. We used a rather old Tom Tom to help us navigate the dark country roads by night. Edale House is in a beautiful area with endless sights to visit from castles, to wonderful walks and wildlife. There are 2 pubs nearby which we didn't get a chance to try out as our stay was for a wedding. It was just perfect , the rooms where spacious and super clean. Breakfast was nice just wish that the time was a bigger window ,it was 8 till 9am..wanting a lie in especially on a weekend but that's personal choice. I will be returning very soon and was given a full tour of all the room. Both peter & Jane were delighful. After booking in its best you reserve a table at a nearby pub for your evening meal. Unless you want to drive into the town , as there is little food places by the Ebale hse.so many things to do if you like outdoor adventure. Hi, thank you for your kind review, we are so glad you enjoyed your stay with us at Edale House. Breakfast times have been chosen to suite the msjority of our guests and allow us to manage all other aspects of the business as owner occupiers. We have several eating places in Parkend as indicated in our confirmation email. It is highly advisable to book prior to arrival as they do get very busy, a short drive out allows further choice of restaurants or pubs. We are situated in the forest so are reasonable well served with eateries. Great place... hosting, breakfast, cleanliness... hard to think about how it could be improved! Would definitely stay again. Location is perfect for Forest of Dean. You can walk into the beautiful RSPB reserve from the back of the house. Fabulous review , we do hope you will come and see us again at Edale. We have some great winter special breaks, don't forget to come direct! see you soon we will have the kettle on! Very glad we chose this hotel. Great location. Everything we needed, with a full range of facilities. Friendly and helpful hosts, and a superb breakfast. we are so glad we welcomed you to our B&B and you enjoyed your stay with us. the autumn is such a lovely time of year and still plenty to see and do- Don't forget to book direct with us and enjoy some of the winter specials we offer. Nice pub next door with good food & beer,but need to book. Steam railway in village. We had a lovely stay for 3 nights with our 2 dogs, room waslovely and clean, it had everything we needed and breakfast was amazing. Both Peter and Jane were super friendly and helpful, we’ll be back for sure! Woodman Inn next door, the Buthers Arms in Coleford and the Anchor in Tintern all lovely restaurants. So many nice places to walk the dogs and the enclosed field opposite is perfect for first and last thing for the dogs. What a fabulous review, we are so glad you enjoyed the dog agility class in Bream and we were able to provide pet friendly accommodation. we hope to see you again soon, keep coming direct to get our best rates. We appreciated the friendly welcome on arrival and loved the tasty breakfast choice. The room was comfortable with good facilities. Thank you for taking the time to do us a review. we are so glad you enjoyed your stay with us and we look forward to seeing you again, maybe in the spring when the Bluebells are out? don't forget to book direct to get our best rates! Excellent place to stay and ideally situated to see the forest of Dean. The breakfast was outstanding. Peter's local knowledge was great and very useful too. The pub next door is outstanding too. Recommend the steak pie - best pie I've ever had and I've eaten many! fabulous review, thank you so much and it was great to have you at Edale House, we hope to see you again soon, maybe in the spring when the bluebells are out! DONT FORGET TO BOOK DIRECT TO GET OUR BEST RATES! Lovely pot of tea and cake on arrival - enjoyed in the comfortable guest lounge. Lots of useful information about locality from Peter the owner. My friend and I took advantage of this over the 2 full days we were there. It was easy to come and go as we pleased. Breakfast was perfect, useful bar off the lounge and access to fresh milk. We made use of the boot room after walking in the Forest of Dean. I would certainly stay again and bring my dog as the 2 ground floor rooms are dog friendly. We visited - The Woodman - next door to B & B The Fountain Inn - a few hundred yards. Clearwell Caves, Mary Rose Young Pottery, Hanley Farm shop and Tea Room, St Briavel Castle, various towns and villages within 20 miles including Tintern Abbey. The Dean Valley Steam Railway also a few hundred yards away. Thank you for taking the time to do us a lovely review, we look forward to welcoming back at Edale House soon. A very pleasant base for a few days walking with a small group of friends. Edale House is quiet, clean and comfortable and Jane and Peter are welcoming and knowledgable hosts. We appreciated the tea, coffee and cake on arrival as well as the constant supply of fresh milk with which to make our own drinks. The Woodman Inn, just next door, and Fountains Inn a 5 minute walk away are good places to eat in Parkend. For a slightly more special dinner with a good range of fish and other dishes, Andersen’s at Forest House in Coleford was a good find. The local post office sells sandwiches and much more, even on Sundays. There are lots of good local walking (and cycling) opportunities with the Beechenhurst sculpture trail and Wye Valley providing interest a short drive away. A fabulous review and we so enjoyed having you stay with us and your walking party (6). we hope you will come back and see us again soon, maybe in the spring when the bluebell are out. so much to see in our forest! Peter & Jane are excellent hosts and always go that extra mile for their guests, on this occasion our tyres needed sorting and our tyre pump was broke but Peter came to our rescue and checked our tyres and pumped them up for us with his electric pump, what a hero he is. We consider Jane & Peter as friends and truly adore Roll the pooch. Parkend post office cafe is good for a cup of tea and sandwich, they are very friendly there. Just to walk or cycle in the forest is the best thing in the world, peace and tranquillity. Thank you for such a lovely review and for coming back to see us regularly, we love having you stay with us!As always we will try and help wherever we can. we hope you have a great christmas and truly look forward to seeing you in the new year! rolo loves his pink toy and is the talk of the village! We had a great stay at Edale House. Nothing was too much trouble for the hosts Peter and Jane. They had thought of everything. Our room was comfy, there was a nice lounge and courtesy bar and phone. Breakfast provided all you would expect, a scramled egg with smoked salmon was a favourite choice. Be prepared because the road signs are very far and few between and we got lost lots of times. Good visits were Mary Rose Young Gallery, the White Hart on banks of Severn, Tintern abbey and railway station and the Wye Valley near Kerne Bridge. Traffic bad in Monmouth so we preferred Chepstow. Good location for visits to the Forest and Wye Valley. Very well run and most comfortable rooms. Very pleasant hosts and pleasure to be there! We did enjoy it. We found the showers were on the small side and our friends with mobility issues did not shower because they needed a hand safety bar in the shower . Otherwise all was very good . The Fountain inn in the village was excellent and good value , you need to book the first nights meal before arrival date as the pubs and restaurants do get booked up . Thank you for your kind review. Sorry to hear about the problem with the showers but they are of a standard size and we do not advertise that they are suitable for less able customers. Guests in the past have provided their own handrails if they know they require one to shower. However, they have to install it themselves as liability insurance will not cover us if we attach it to the wall. Thank you for your lovely review, we are pleased you enjoyed your stay. Don't forget to keep a lookout for our special offers and come direct if you want to return. Fabulous review, thank you so much for the lovely card with the sheep , we dis giggle! Hope to see you again soon, maybe in early spring if not before. Don’t forget to book direct to get our best rates! Very friendly, nothing too much trouble, a delightful place to stay. The nearby Fountain Inn serves really good food at reasonable prices, so you really need to book. Very friendly, helpful couple with a real passion for what they do. Welcomed with a very welcome cuppa after a 5hour+ drive from East Suffolk. Super breakfasts. Lovely guest lounge. WIFI, comfy beds. Thank you Peter and Jane for the lovely chats and advice. Best of luck with the rest of your plans for Edale House. Hope to see you again sometime. A lovely position opposite the cricket ground. Parking at the front. We were attending a wedding at Clearwell Castle so were very handy, only 3-4 miles. Tip though - do book your taxis well in advance. We had had a quick walk before going to the wedding and could see plenty to do in the surrounding area. It is a very beautiful part of the country. Lots of information available in the guest house to help you plan your stay. Very welcoming and thoughtful. Being able to bring the dog was great. Breakfast very good. Tintern Abbey is great. Food next door was good. Great review, thank you so much and we hope to see you again soon, look out for our winter specials! Lovely BnB, very clean, friendly hosts, super breakfast, great location. The local pub, The Woodsman, serve excellent food. Try the Woodman next door! food at the woodman next door was good. RSPB centre within walking distance in the forest. Thank you for your kind review- we are glad you enjoyed your stay and we look forward to seeing your again soon. Friendly, lovely fresh cake on arrival. lovely review, thank you so much, we hope you will come and see us again soon and don't forget to book direct through our website or over the phone to get our best rates! Convivial hosts Pete and Jane. Tea and cake on arrival and a warm reception. Good food and a nice little honesty bar. Go for it. Depends what you are looking for . Good for cycling, walking nature and general exploring. Several local pubs. You may need to book in advance at the Woodman next door. fabulous review and thank you for staying with us we really enjoyed having you stay. Jane and i hope to see you again soon. look out for our winter special rates, if you book during the winter its discounted for the anytime during the year! 3 of us stayed 5 nights. Lovely area and village, 2 good pubs with food in walking distance. Very nice property and we had a warm welcome from Peter and Jane. It was lovely to have you all stay for a week. we are so pleased your enjoyed your stay with us and hopefully you will come and a see us again soon! what a great review, thank you so much it was a joy to have you stay with us and we hope to see you again soon. Thank you for your kind review. we are so glad you enjoyed your stay with us. we look forward to seeing you again soon maybe in the autumn? dont forget to book direct to get our best rates and watch out for those winter specials deals! The best B&B we have stayed in. Thank you for the care and focus on ensuring that we had a comfortable stay. Peter and Jane advise you to make reservations; take this advice it is very difficult to get a last minute table! Fabulous review both here and on trip advisor, thank you so much. we look forward to seeing you again soon and do come direct to get our best rates. Watch out for the winter special deals that we have running from November! Kind, friendly, helpful and knowledgeable. The whisky bar is a great touch! Mobile phone reception in the Forest of Dean is pretty patchy! Thank you for scoring us highly- we are so glad you enjoyed your stay with us and look forward to seeing you on your next visit to the forest and some super cycling! Lovely b&b, just spent 3 night's here and had a wonderful stay. Lovely clean and comfortable room and a fab breakfast. Peter and Jane made us feel very welcome, lovely place to stay to explore the area and would highly recommend. Thank you for your kind review, we are so glad you enjoyed your stay with us and we hope to see you next year! have a great summer! Greatly enjoyed our stay. Peter gives excellent advice and attention. The breakfast was great. Thank you so much for a lovely review. We hope to see you again soon, don't forget to book direct for our best rates! What a wonderful stay! Our hosts, Peter and Jane, were incredibly welcoming, helpful, and provided us with truly fantastic breakfasts. They set the bar for B and B's extraordinarily high and then exceed it! Their friendliness and enthusiasm is contagious and I cannot recommend them highly enough. Great pub and restaurant right next door makes Edale House the perfect place to stay! WOW!Thank you so much for taking the time to do us a great review, we are so glad you enjoyed your stay with us and hope to see you again soon, don't forget to book direct to get our best rates and watch out for some great winter specials with the chance to enjoy the forest in the Autumn. Have a great summer! Lovely welcome, made to feel very ‘at home’. Excellent restaurant next door, very popular so reservation recommended. “A very short stay but couldn't of asked for anything more.” We had a very nice overnight stay at edale house, Peter and Jane were very friendly and accommodating. We were offered tea and cake on arrival which is lovely after a few hours stuck in a car. Edale house is extremely well equipped, including an honesty bar which unfortunately we didn't have time to try. Breakfast was lovely and plenty of choices, well cooked and locally sourced good quality ingredients, I had kippers and poached eggs whilst my husband had a full English. 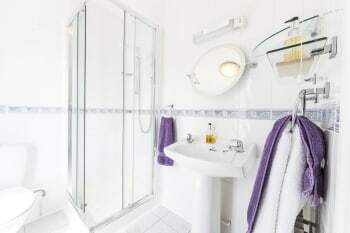 Comfy beds, clean rooms and lovely shower. We had a great evening meal at the pub next door, The Woodman, it's best to ring ahead and book tho as it was very popular. Try the woodman pub/restaurant next door nut ring ahead and book in first! Thank you so much for taking the time to do us a lovely review. Jane and I are so pleased you enjoyed your stay in the forest and at Edale and we hope you will come back and see us soon. we will have tea and cake ready on your return! have a great summer. Our stay at Edale House with Peter and Jane was the perfect place for us to celebrate our Wedding Anniversary and to enjoy the perfect surroundings of the Forest of Dean. They couldn't have been more helpful and accommodating. We wish you all the best for your future at Edale. Thank you for a great review, we so enjoyed you coming to stay at Edale. Do come back and see us soon and enjoysomebof the other attractions the Forest offers. Have great summer! Very friendly and welcoming. Nice and clean with good facilities in room. 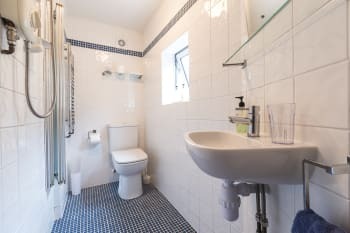 Only drawbacks were toilet and shower system very frustrating, shower cuts out whilst water drains into pumping system and toilet has to be flushed severAl times to dispose of waste properly. Noise coming from room 3 very loud sounded like TV with surround sound. Nagshead bird reserve fantastic if you are a birder, wild life watcher or walker, on the doorstep of this accommodation. Pub next door food not bad. Peter & Jane were very friendly and knowledgeable and made us feel very welcome. Spotlessly clean and a wonderful breakfast. Had very nice meal at The fountain just a few minutes walk from the house. Very welcoming and helpful hosts who made our stay particularly enjoyable. Try the Woodman and The Fountain both in Parkend. Good clean comfortable and friendly b&b. Very welcoming and friendly. Nothing was too much trouble - even being asked for and providing a more powerful hairdryer in the middle of cooking and serving breakfast! Little touches like fresh milk in a fridge on the landing make all the difference and are very much appreciated. Thank you for taking the time to do us such a lovely review. We are so glad you enjoyed your short stay with us.Do come back and see us for a longer stay and an opportunity to sample some of the great walks/views and attractions the forest has to offer, maybe September or October? dont forget to come to us direct for our best rates!. We look forward to seeing you again soon Peter and Jane + Rolo! Excellent stay and first class hosts. Good pub with bar meals and a restaurant right next door. Peter & Jane are absolutely super hosts, nothing is too much trouble and they are eager to please. Breakfast is amazing, bedrooms and cleanliness are excellent. The hosts always offer tea & cake upon arrival which is most welcome. But to top it all they have a super soppy dog called Rolo who is a treasure. We have stayed here now 3 times and it has always been an excellent stay. For eating out The Rising Sun in Yorkley is good. The birds of prey centre in Newent is a great day out but the free walks in the forest are the best. Hospitable and helpful . Pleasant stay . This was a last minute break for me and the other half what a gem. Fantastic location brilliant facilities and very comfortable spacious clean room. Peter and jane greeted us on arrival and could not be any more helpful they definitely made our stay will be back. Very friendly welcome. Clean comfortable room + lounge if required. Excellent choice of breakfast. Individual needs or preferences - no problem. Most helpful with directions to places. Reasonably priced. Would hope to go back in future especially as dogs welcome. Many information leaflets of places to go. Plenty of places to visit to suit all likes. Cricket on the green opposite during the summer. Dog walking in forests. I didn't go to restaurants so can't comment but plenty available and suggestions were made as to where to eat. If you want a meal locally, pre book. Thank you so much for a great review, Jane and I are so pleased you enjoyed your stay with us at Edale. We look forward to your next visit with us. we do some great winter break offers! give us a call when you are net thinking of a break. Could be the best Full English on the planet. See the Wild Boars in the Nags Head Nature Reserve woods just behind the village.Best time 5-6am in summer, back for that breakfast! Lovely idea to have fresh milk to go with tea/coffee in the room, and a loyalty bar. Great quality bacon and sausages for breakfast and freash fruit salad. Lovely people. So friendly and welcoming ....offered a pot of very welcome tea on arrival ! Beds were lovely and comfortable and breakfast was super. We also liked meeting the brown lab Rolo who was very enthusiastic to see us! We went to Puzzlewood......absolutely wonderful and would highly recommend it. Jane booked us a table at the Fountain Head pub and we had a very delicious meal of cod and chips . Jane & Peter are the perfect hosts, and clearly put their heart and soul into their business, but still retain the personal touch. They work very well together, and deserve every success in the future. We ate at the Woodman next door - another good reason to stay at Edale House. The Resident's lounge was very comfortable, and with a bar adjacent, the facilities are more in line with a hotel than a guest house. One of the best stays we have enjoyed in the last 30 years. The owners, Peter & Jane, were extremely welcoming and simply exceeded our expectations in every respect. We had chosen one of their 'superior' rooms but all rooms looked equally well appointed. So many well thought out touches to make our stay very comfortable and happy. We look forward to returning on many occasions. We visited two restaurants and found the food well above the standard you might expect from such a rural location.... the better of the two being adjacent to Edale House. The other, near to Parkend heritage railway station, is perhaps more of a pub with good food than the nearer restaurant with a bar. The Forest of Dean has a stunning industrial history, largely now hidden in the beautiful and accessible countryside - so much to discover! The hosts were prepared to go over and above. Both local pubs serve excellent food, but the Woodman was better. Cycling is excellent but some trails are poorly marked. Lots of bike shops. Lydney wharf is an interesting piece of history and the views are beautiful. A lovely relaxed stay. We were made to feel very welcome by friendly hosts and felt at home with extra touches like a lounge to use with books etc, fresh milk available when making tea/coffee in the room. Delicious breakfasts. The Woodman Pub next door has a varied menu and serves great food. Thank you for taking the time to do us a lovely review. Jane and I are so glad you enjoyed your stay with us and we look forward to welcoming back at Edale soon. have a great summer and don't forget to book direct with us on your return! Small and friendly. Lovely freshly prepared breakfast. Our dog stayed too, ideal for walk just outside. Two pubs with restaurants very close by. Our stay in Edale House was very pleasant. Peter and Jane were perfect hosts and the breakfasts were delicious. There is an excellent Public House/restaurant called The Woodman which is located next door which provides evening meals. There is also another pub in the village of Parkend called The Fountain which also provides evening meals. The nearest supermarket is in Lydney about five miles away. There are many walks in the Forest nearby and farther away. There are also facilities for bikers. The Forest of Dean is very extensive and there are many other areas and villages of interest. There is a lot of history associated with the area. An outstanding place to stay, very clean and well run. We really liked the small touches, like the fresh milk and biscuits. Breakfast was beautifully cooked. The standard of service was second to none and sets a high standard for others to follow. It is set in an ideal place for cyclists and not just enthusiasts! Would happily return. Pubs at whitemead two miles away look a little run down but they are friendly and food was excellent. Thank you so much for taking the time to do us a lovely review, Jane and I are so glad you enjoyed your stay and we very much hope to see you again soon. hope you have a great summer, remember our best rates are through our website! The hosts were very kind and helpful. Welcoming on arrival and made an early breakfast forme to go to the half marathon race. Jane and I are so please you enjoyed your short stay for the Forest 1/2 marathon!, dont forget there is another one later in the year! come back and see us soon and have a great summer. Forest of dean is a lovely place to visit. Unspoilt and not touristy. Peter and Jane made us feel very welcome and made us feel at home despite fact that we had only met them for the first time since they had taken over Edale House. Excellent choice of food for breakfast, nicely presented and served to table. Rooms very clean and comfortable, particularly the beds. The best recomedation is that we will be returning. Two good local pubs, The Woodman, next door to Edale and The Fountain a short walk away There is also the Star about a 6 minuet drive away. All establishments offer a good choice of menues. The heritage railway witch runs from nearby Parkend to Lydney is well worth a visit. The forest is well worth a visit and great for walking and cycling. For cyclist Edale has very secure storage and a jet wash for the off road cyclists. Very pleasant stay. Hosts were very welcoming and amenable.room very nice. Not a very good mobile phone signal but the wifi had excellent signal. Really enjoyed breakfast. We would certainly stay again. Had an evening meal in The Fountain pub which was very nice. The pub had a very pleasant ambience, good beer and good food. Excellent stay. Rom was very comfortable, spotlessly clean and the hospitality was very friendly and helpful. Long weekend stay as a wedding anniversary treat. Great hosts, received tea and cake on arrival and loads of helpful tips to get the best of our stay. Pete and Jane gave us information on the best places to eat and even have a phone that guests can use as the mobile reception in the area is poor. They surpassed expectations when they gave us an anniversary gift. Will definitely be back to stay with you. Either with my Mum, friends, partners or both. Thank you so much for charging my mobile and giving us option of relaxing in lounge while deciding about heading off in snow or not. Room and breakfast lovely. Loved the lounge for relaxing and drinks area. Fountain Inn had lovely food and pub next door looks good once refurbished. Cycle hire in village. Great walk literally by house. Walk into forest and Nags head Nature Reserve. We were made to feel very welcome and nothing seemed too much trouble for the hosts. Very good breakfast and warm rooms with comfortable beds. The Fountain Inn is very close and serves good meals. We also sampled the Rising Sun at Moseley Green, about 2 miles away, which although a basic local pub served very good food - you might want to ask for small portions! Lovely time - hosts were wonderful. Cooked breakfast a must. Would certainly visit again. The Indian 'AKASH' in Cinderford - doesn't look much but food and service great. Very friendly and helpful. Particularly appreciated you going back to the hotel so that I could use facilities and the offer of a cup of tea. Lovely local walks. Very good service and food at The Fountain Inn. VERY HIGH STANDARD OF FOOD AND ACCOMMODATION. OWNERS VERY FRIENDLY & WELCOMING. Excellent. Jane and Pete were accommodating, friendly, and nothing was too much trouble. The food is excellent, the bedroom warm, comfortable and impeccable. Our dogs thought they were at home, and settled in. I would stay here again, as you made us feel so welcome. Nice walks in the nature reserve. We visited the Fountain Inn which was good, also the Belfry at Cinderford. We visited Ross on Wye and Monmouth both towns interstin. Thank you so much for your lovely review, we hope to see you again soon, don't forget to book with us direct to get our best rates! Jane and Peter are fantastic hosts. From the cleanliness of the rooms to the choice of breakfast. A big comfortable guest lounge and honesty bar. Nothing was too much trouble. If bringing your dog they do have an outside shower for washing down! Just inside the front door is a cloakroom for wet clothing and muddy boots. The Fountain pub served great food at reasonable prices and is 2 minutes away. Next door the Woodsman but was closed for part of my stay. If bringing your dog there are walks straight from Edale. Fabulous review, Thaak you so much and Happy New Year! Please keep visiting our website for our best rates! Lovely friendly couple and homely stay. Great breakfast and enjoyable stay! Thank you for a great review, we are so glad you enjoyed your stay. Hopefully you can join us at Edale in 2018! Very accommodating hosts. Even got a lift to our party venue. A truly lovely place. We were made to feel very welcome.our room was clean and well equipped. The bed comfortable and room warm. Breakfast was perfect! Jane and Peter have all the advice you need on restaurants etc but The Forest is a beautiful place to visit with lots of lovely walks. Super welcoming hosts great sleep lovely comfortable bed pristine clean room and rest of the b and b no faults at all. Breakfast excellent good choice cooked or not.We would highly recommend thankyou. Plenty to see and do we had dinner at the woodmans pub next door the food and atmosphere was excellent highly recommended . great scores, thank you , see you again soon! Despite a short stay, I found this an excellent establishment and would recommend it to anyone. They where able to accommodate my need for an early start, ensuring I left with a breakfast. Great area for walking and cycling. Thank you for some great comments, we really appreciate them. we hope to see you at Edale on your return to the area. Peter and Jane are perfect hosts and keep an immaculate house. Breakfast exceptional using local sourced produce. They must run the best b&b in the forest. Do not hesitate to book you will not be disappointed. For advice on local amenities Peter has a wide knowledge and is always on hand to help. The breakfast is an excellent start to the day. Small jugs of milk in chillers were a lovely touch. Peter and Jane were great hosts; informative and helpful without being intrusive. We would definitely stay again. Recommend both pubs in Parkend - definitely book ahead. We really enjoyed our time at the Eldale Jane and Peter could not do enough for us. The room was great with a lovely comfy bed also a fab breakfast. A very friendly happy place to stay. I would recommend this house and we would like to return soon . We went to the Woodman pub right next door had a lovely meal. The area is nice and relaxing if that is what you need with lots of walking and places to cycle. Happy days. Jane and Peter are very kind and accommodating hosts. From the cup of tea on arrival to the excellent breakfast next morning, I was made to feel most welcome and appreciated. Woodmans next door does great food, but it's wise to book as it's a popular eating place. There's a lovely woodland walk around the sculpture trail at Beechenhurst, excellent café too! we are so glad you enjoyed your stay with us, we try to make every visit as enjoyable as possible and we hope you will come and see us again soon. Lovely stay with Peter and Jane who are so friendly and kind . We felt very much at home here only two nights but had a brilliant time. Peter and Jane were very helpful and their breakfast was one of the best ever!! We would definitely would go again. Also most important, very comfortable beds!!! Well worth visiting Symonds Yat , the Forest of Dean, we did the Art Walk in the forest..3 hours. Tintern Abbey is beautiful and the Devils Pulpit which is a killer! 1 Mile yes but it's pretty much a vertical mile! Really great Area and lots to see and do Chepstow looks great but we only passed through. Lovely house, spotlessly clean. Hosts very welcoming! We felt very comfortable Jane and Peter offered advice and help where necessary or if requested but also left us to get on and enjoy our stay. We liked the fact we could use the guest lounge without feeling we were imposing and also the honesty bar. My husband enjoyed being able to chat with Peter about mountain biking! We ate at both of the pubs within waking distance and preferred the Fountain Inn, although both were very good. You do need to book at both but if you get to the Fountain before 6 there are tables in the bar area which are first come first served so you can still get a table. very nice stay, friendly owners and lovely dog! room 4 was a bit small so next time we will book one of the bigger rooms for only a few extra pounds. the woodman and the fountain restaurants in the village are both excellent places to eat and very close to the property. great walks in the forest nearby and the steam railway also very close. Warm welcome, the proprietors were very attentive and we had a delightful stay - a pity it was for only one night! 2 pubs nar - onbe of which is next door and serves very good food. 2 very good pubs within walking distance with excellent food. Very good location for access to the whole of theForest of Dean and Wye Valley. Really enjoyed our stay at Edale House, we were greeted with a genuine friendly welcome and offered tea and homemade cake on arrival. Our room was clean and comfortable and nothing was too much trouble. Safe parking outside for 5 cars, or you can park on the road just off the drive. Breakfast was very good with a choice of cereals, fresh fruit, yoghurt, pastries, juices, tea or coffee, along with the full cooked breakfast, which is presented very well and of good quality. Never had a problem with WIFI, we was located on the ground floor. We wouldn't hesitate to return. We ate at the Woodman pub next door which Jane very kindly sorted out a booking for dinner for us and the food was very good. Very good location for walking, cycling and visiting a variety of attractions like the Dean Forest Railway. Jane & Peter were very friendly and helpful, and ensured that we had a perfect stay. Parkend is a great place to stay to see all that the Forest of Dean has to offer. The two pubs in the village are both recommended, but do book beforehand as they are often very busy. Don't miss the delightful village shop either. The owners were lovely, friendly and welcoming. Food was great. Room was lovely with amazing soft sheets and comfy beds. Would highly recommend The Woodman pub (next door). Symonds Yat and Puzzlewood are great to visit locally. Pete and Jane were very welcoming and keen to make sure our stay was interesting and relaxing. They offered advice on where to visit and where to eat. The location of the property allows excellent access to walks and cycle paths. The breakfast was substantial and had plenty of choice. We enjoyed our stay and will be returning. The two local pubs have good food. Dean Forest railway is within a short walk. A family cycle path runs behind the property which leads to a more advanced cycling area if needed. Bikes are readily available to hire within walking distance. Very nice friendly couple, made you feel at home, food excellent. Definitely recommend it to anyone. Nice view over area from bedroom. 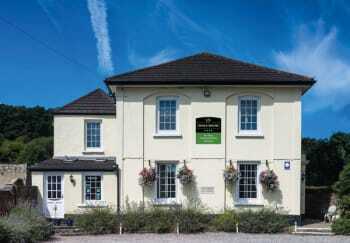 Two nice restaurants very close, one the Fountain inn. So much to see and do, walking, cycling, people with families, excellent outdoor holiday. we are so glad you enjoyed your stay with us. we look forward to welcoming you here at Edale again soon. we do some great winter special rates! Friendly, welcoming and efficient owners. Great location with two pub/restaurants in the village and a sense of time standing still - but not quite as the guesthouse has wifi ! Very comfortable stay, beautifully cooked breakfast. Spoilt for choice in the village, both The Fountain and Woodman have good food, ales, ambience, gardens. Norchard steam railway terminus station is in Parkend, forest walks on your doorstep. what a fabulous review, thank you for taking the time to write it and we hope you will come and see us again soon! Very welcoming - we even got tea and cake! Good facilities, excellent location in the heart of the wonderful Forest of Dean. Breakfast was excellent. Woodman Inn next door provides excellent food. Hi, thank you so much for a great review, we are so glad you enjoyed your stay and we hope to see you again soon. Don't forget we do winter special rates! see you soon! The Rising Sun at Moseley Green towards Yorkley is absolutely super and The Belfry Inn in Littledean is very good. The Dean Heritage Museum by Soudley is great and then you can walk around the ponds. The sculpture trail by the Speech House is another must do. Lovely friendly hosts. Beautiful house. Peaceful, relaxing and very clean rooms. There is lots to do in the Forest. Nice local pubs and walks to enjoy. The Woodmans right next door is pleasant and serve good food. excellent hosting,very happy and helpful couple. well worth a stay in Edale House. A warm and friendly welcome. The room was very clean and comfortable. Breakfast was excellent,there was a wide choice. We would definitely stay here again. Friendly hosts, would feel comfortable staying alone. Room was lovely and the beds very comfortable ( a must when having a back condition) Breakfast was freshly made, cooked option not greasy. Jane and Peter excellent hosts. The woodman Inn next door does excellent food. We were visiting family and I'm limited due to a disability but the hosts will tell you where to go in the area ie Walks in the forest, On a wet day a visit to the cathedral in Gloucester is worthwhile and there is some quirky shops. Very pleasant stay, great hosts made us feel very welcome from arrival to departure. Pub / restaurant next door The Woodman excellent food . Can't recommend Edale House highly enough. Peter and Jane are the perfect hosts, nothing is too much trouble. The food is wonderful (hand-carved bacon, bliss!) 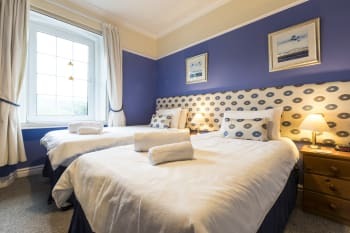 rooms are spotless and comfortable, and the WiFi stable ;) The location is absolutely beautiful, and Peter or Jane will happily advise on good walks, cycle routes or other things to do in the area. The Forest of Dean railway is just up the road in Parkend, and well worth a visit. Thank you so much for spending the time in giving is such a lovely review. we hope to see you again soon and hopefuuly advise on other walks and activities in the forest- remember our special rates on offer during the winter months! A very friendly place to stay and it is very accessible to the Dean Forest preserved railway. Jane and Peter were most welcoming and the rooms are very clean and comfortable. We would definitely stay there again. Thank you for such a kind review. we look forward to welcoming you back to Edale House soon- please take advantage of our winter breaks and special prices! Thank you for scoring us so highly in your review- we look forward to see you back here at Edale soon. enjoy the summer! Very handy having a pub next door that does good food as well as real ale. Sculpture park, railway are close by. Lots of cycle paths and good walks. Jane and Peter were very welcoming on arrival and were pleasant and helpful throughout our stay.The accomadation was spacious and well presented.The breakfast was first class.Would definitely stay here again.Many thanks from Barry and Marlene. Good food in a couple of pubs within walking distance.Ideal location for Forest of Dean,wye valley,Brechin becons and tintern abbey. Pub next door was good, we also hired bikes from the bike hire company which was 5 mins walk from the property. Warm and courteous reception on arrival. Property and interior immaculate. Bedroom homely with many features such as striking pictures on the wall and a view of the cricket pitch opposite. Help yourself well stocked honesty bar with complimentary specialist teas and coffees etc. Superb fresh locally produced full range breakfast, cereals and fresh fruit salad. Pleasant forest location next door to a village pub serving a large range of meals A second pub only 500 yards away . Walk and cycle ways close by. Central location to visit the beauty spots of the Forest of Dean including the steam railway heritage centre. We can thoroughly recommend this Bed and Breakfast. Lovely room and great breakfasts. The service was excellent - friendly and welcoming. Tea and cake on arrival especially nice! Tintern Abbey is only a short drive away - just beyond Chepstow. Taurus Crafts just the other side of Lydney has interesting craft shops and a good place to have lunch or coffee. It also has a Crazy Golf course next to it!! 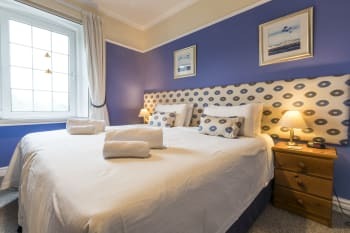 this is a lovely B&B, everything you could ask for, lovely room with great facility's. breakfast was so good and a variety of choose. they have an honesty box that you help yourself to alcohol of non alcohol and just settle the bill in the morning. this has recently changed hands and the owners made me feel welcomed and shared great information on location. they went above and beyond by being my taxi to a wedding as I couldn't get one. Defiantly recommend to all looking for relaxing but pleasant stay. This location is perfect for the outdoors, surrounded by cycle paths, walks and other general things to see. Hi, thank you so much for a great review, we try to go above and beyond when people stay and your comments are really appreciated. we look forward to welcoming you again soon! Everything about Edale House was superb there was not one fault to be found. 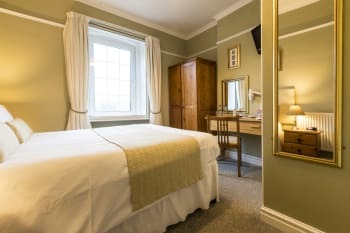 The best place to stay in the Royal Forest of Dean in our opinion.The beds were comfy, breakfast excellent and Peter and Jane were treasures and helpful in every way and we must not forget the dog Rolo he was friendly too. Get out and about by any mode of transport it is one of the best places in the UK to visit, walk,cycle,car and just stop anywhere and enjoy the views and nature. Thank you so much for your review, i am so glad we are able to offer our regulars a seamless transition between owners. we look forward to seeing you again in the Autumn! 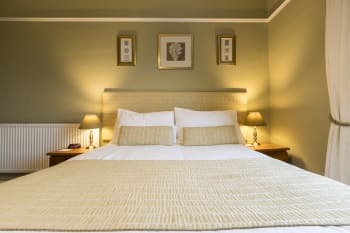 Edale house was perfect for our stay, exactly what we were looking for. Jane and Peter were warm, friendly hosts and gave us the low down in the area. Our room was lovely, huge bed and we had a brilliant sleep after at day on bikes in the forest. Thanks for making us so welcome. Dinner at the pub next door was a must, book into the restaurant and 30 second walk next door. Forest of Dean Mountain bike tails were excellent too, just 5 minutes drive away. Lovely stay in a great part of the world. Our host's where so helpful and friendly and the room was excellent Breakfast set us up for the whole day.. Would willing stay here again if in the area. The Fountain Pub which is close by is great. So many other things to do in this area I would strongly recommend you ask Terry about what is best at the time year you are staying with him.